At NAB I conducted a number of interviews with people in the industry who work in areas that I felt were of interest to this site’s readers. This is the first of what will eventually be a long series of what I hope are useful interviews from that and other shows. Thom: Give me a little background on how you started in the data recovery business. Dave: I started back in the PC business back in 1982. I used to be a CAD/CAM system seller building out XTs in Canada. I moved down to Florida in 1987 and started building PCs, but also building test products to help people to figure out why machines weren’t booting or were reporting errors on boot. Then in 1997 I was working for another company that did data recovery, and they ended up going out of business. Bad management or whatever it was, I have no idea, but two of the owners ended up coming to work for me and I started this company LC Technology, and we were actually the first that released a product that could recover NTFS file systems. That was a product we had called Recover NT. It was interesting to me getting stuff back, because you know, being in the computer industry back in those days losing something was really tough on people. Then around 2001 when we were exhibiting at CeBit in Germany and we had some people from Olympus come by and they saw we were doing data recovery. We didn’t have a photo specific product at that time, we had a regular file system based one. They gave us a card and we plugged it in and recovered the data off the card for them, and they were amazed. Here’s camera guys, no PC experience, and wow, this is amazing. So we developed and released a product called PHOTORECOVERY, and that was the first photo-based product to recover data from memory cards. Shortly after that we got into a business relationship with SanDisk and we made their product Rescue Pro in 2002. So that’s been the last 14 years. And then we’ve progressed into doing physical surface recovery since then. Things have evolved quite a bit since that early product. Initially it was just photos: JPEGs, GIFs, bitmaps, that type of thing. Then we started getting into different cards, different formats, and some of the video formats, as well. A lot of the products that people see on the market come from us. We’ve been working with SanDisk, plus we have a lab in Florida as well as one in Europe that can do physical surfaces, too. So when a card actually has physical damage, is broken, or has an electronic short, we actually will pull the chips off the card, put them into sockets on our equipment and image the card and pull the data out of that. But things are getting a little different because we’re now into lots of different kinds of video formats, especially around here [NAB Trade Show]. So we’re doing a lot of HD, 4K, and 3D video stuff, like some of the RED formats. Thom: So you’re recovering compressed video? Thom: How’s that work? Some of these compression schemes if you miss the key frame you’ve got a big hole don’t you? Dave: You do. But we’ve been doing this for a long time. We use two different methods in our products. We use a file system recovery, and if the file system is gone and the card’s corrupt, like when somebody is shooting and they think it’s done writing to the card and they eject the card, they corrupt the file system. So what we also do then is enable content based recovery, as well. On all these different file formats, we build templates for all the different file types that are out that. So, for example, when all the raw formats started to come out, we got sample images, we built templates, and we put them into our product so we’re actually able to scan the file system for raw data even if there’s no file. Thom: So you can just go directly to the data and build your own file system? Dave: Yep. And pull it out by content recognition. For each file we know what the beginning of the file looks like, we know what end of file markers are, and that’s partly how we know how to extract the data from unformatted media. But over the years things have changed, and we’re having to evolve to. Doing a lot of video stuff for the movie industry is challenging. A lot of the high end action cameras like the GoPro, we get a lot of media in from people that have crashed, their camera dies in the process, or there’s electronic failure while it’s writing, so it doesn’t finish writing. Most of this stuff is pretty simple, though. Thom: From the standpoint of my audience, there’s kind of two overriding questions. One is how do they avoid ever getting to the point where they have to recover something, and what should they be doing that they’re not doing right now. Dave: There’s a lot of things. Taking care of your memory cards is the first thing. Don’t delete in the camera. If you’re out shooting and you have a problem with a card, take it out, set it aside, put a new card and continue to shoot. If you run out of room, don’t delete on the camera because typically on a clean card when you’re recording your writing is all sequential. If you start going through the card and deleting this file, deleting that file, then you fragment the card. So when you go to shoot again and you’ve got a little area free and another one over here and another one over here, as the camera is recording the camera’s going to put parts in different places. If you then do have a problem with that card, recovering it is even harder. Because if there is no file system left, the individual file data may no longer be sequential. Thom: So you’d say that data recovery is always easier if the files are almost continuous sequentially on the card? You know batteries are a big thing, too. Making sure that you have enough power and battery in your camera because if the camera runs out of power while it’s recording you’re going to have a file system problem, it won’t finish the write. Thom: One of the things the Nikon cameras do is that they report the number of frames that are remaining on a card based upon an average guess, then as you get down to the end of the card, you’ll see 0 frames remaining, then suddenly 1 will pop up as the camera does some recalculation. Most of the damaged cards I see come from people going right to the end of the card and then trying to force another image on. Dave: Right, and then they overshoot the card’s storage capacity and that’s it. And another one we see a lot is that people just eject the card before it’s finished writing. Because the camera caches up the data as its writing to the card, and if you’re not paying attention and that light is still blinking when you eject the card, same thing, you corrupt the file system. Just formatting the card isn’t always a good thing, either. Formatting the card doesn’t get rid of data on the card, all it does is clear off the file table. Dave: Well there are some cameras that do a destructive format and write all zeroes. There are some Fujifilm and a couple of others where there are some models that will write zeroes to the card. That was typical of cameras that were using the old Xd cards. The best thing to do is that when you’re done with a card and you’ve got your data downloaded, wipe the card using a utility that will write zeros to the entire card and then reformat it and it’s like a brand new card. Thom: How about bad sectors? Generally cameras don’t flag bad sectors, do they? Thom: Are bad sectors common? Dave: I haven’t seen a lot of that on card media. Occasionally you’ll run into cards that do have bad spots on them, and that’s over time. And eventually if you use a card enough, they do wear out, they do have a life span. You can only write to them so many times. The best thing we tell people is if you take care of your cards and you know what you’re doing in handling them in and out of the camera, they should last you a long, long time. Dave: But how long have been using them? At some point you really do need to replace cards. Especially since cards are just getting cheaper, and cheaper and cheaper. Eventually the price will be come down. Thom: Okay, so the other question that comes up is this: I know I have an error. I either saw something on the back of the LCD or I know I pulled it too soon, what do I do. 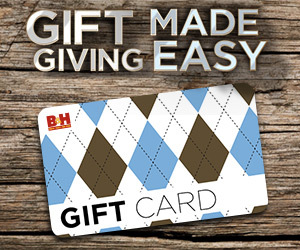 Dave: Pull the card out, set it aside, and if you’re not comfortable doing it yourself, you send it to someone like the manufacturer of the card. But most of the time they’ll probably direct you to us. Most of the camera companies send people directly to us. If you’re using SanDisk or Toshiba media, if the software that came with the card doesn’t work, then you just go ahead and send it to us and we’ll do it manually. Thom: What’s your success rate on that? Dave: It’s pretty high. It’s up in the 90’s. As long as the card is functioning. Like I said before if people are deleting on the card or manipulating the image on the card, it does have a tendency to shift the data around and fragment the card, which makes it more difficult to recover. If you’re shooting on clean, fresh media all the time, we generally recover it easily and quickly. If not, it takes longer to recover, or sometimes is impossible. A lot of times with images you’ll see stripes across, even after you recover them, that’s because the data is fragmented, and some of it was lost or not found. Thom: That was going to be my next question: one of the most common things that people see is that the bottom section of an image is purple or gray or missing, or there’s streak lines across it, sometimes maybe mosaic blocks at the bottom of the image. Dave: That’s typically caused by someone using the same card over and over again and deleting files to free up space and taking more pictures. Eventually you fragment the data so much on there it’s a problem. So you think about it, and all your data’s on there and then you delete a picture, then you delete another picture, and then you’re taking a picture in maybe a higher resolution that doesn’t fit into that, so the camera looks for the first place it can fit that new picture into, and if it doesn’t fit there it’ll stuff part of it there and put the rest somewhere else. Thom: It’s not that the camera manufacturers are putting high-end parts in there that are faster than the card can be written to. Dave: Right. But it depends a lot on the cards you’re using, too. There’s fast cards, there’s good cards, and there’s lower quality cards. Depending upon who you’re getting them from, where you’re getting them from—we see counterfeit cards, too. Thom: I was just going to say, three years ago there was a big trend with counterfeit cards. Dave: Yes, a lot of SanDisk cards. But if you open them up, it’s not SanDisk at all. Or it’s remarked to a different specification. Dave: These things all add up very fast. Thom: So is there a message you really want to get across to the serious camera user? If they did everything right, you’d be out of business, right? Dave: [hesitates] Uh-yaaaaaa, I guess you could put it that way. But people make mistakes. People should spend the time to understand what it is that you’re doing and the consequences of it. They’re a lot of people that think they’re pros because they have an expensive camera. But taking care of the memory cards, that should be their number one consideration. Always make sure you’ve got enough battery, the other things I’ve already said. Thom: Okay, so you’ve got an SD card, you’ve forgotten it’s in your pocket, and you ran it through the washer. Dave: We get a lot of cards that have been wet. Thom: My experience is that these cards still work. Should I get rid of them once they’ve been washed like that? Dave: No, no. If it’s just gone through the wash, that’s not a big deal. Let it dry. Especially CompactFlash with all the pins you’re going to get moisture in there, so make sure that’s dried out. SD cards, MicroSD cards, not really an issue. Thom: Speaking of that, do you get a lot of bent pin cards? Dave: Not so much any more. We used to get a lot where the pin was pushed in on the CompactFlash cards, and then we’d just pop the case off, push the pin back, plug it back in and it reads fine. We still see them occasionally, but that’s the user trying to jam it in or put the card in upside down. You’ve just got to be careful in how you treat your gear. Being in a hurry all the time causes problems. Take your time, do it right. You know, we do a lot of recovery for wedding photographers. We tell those photographers if you want to do it right, just buy a new card for each wedding. Don’t use the same cards over and over on such high volume situations. They’re not that expensive, and you leave yourself a backup. The last thing you want is to lose a wedding and have the couple sue you. You can’t recreate that wedding. Thom: Do you send recovery teams to big events, like the Olympics? Dave: No, we stay back in our offices and are there for the people who discover that they’ve got a problem. Right now we’re spending a lot of time working on the video product. You know some of these video cameras have a huge number of actual file types they generate given all the size and compression options. Which brings up an interesting thing: the more file types we add to the program, the more risk of unintentional error in getting the interpretation exactly right, because so many of them are very close. You know, false positives. So we’re doing a straight video-only product now that covers most of the major formats. MP4s are tough, and some products only recover the video, not the audio, or the recovery puts the audio and video out of sync. The formats are getting more complex, the files are bigger. Thom: How about SSDs? You know, a lot of the external recorders like the Atomos are using them. Dave: SSDs are a completely different thing. Dave: Yes. I’ve had that question a whole bunch of times. We make tools for companies that make SSDs. We made SanDisk’s original SSD toolkit, that does a lot of different maintenance type things like Trim, Overprovisioning, firmware updates…a lot of things that SSDs require. Thom: So if I have a data issue on an SSD, what happens? Dave: It depends. One of the things with SSDs is the Trim function that does garbage collection, so when you delete files eventually the system will reallocate all those data blocks and consolidate them, which means you have a window of time to recover deleted data, not like on a traditional hard drive. The other thing that we see with SSDs is that when they do die, they’re typically dead. We get them in, but one of the problems is that you’ve got data on maybe 16 different chips, and it’s been scattered there by the way SSDs work. And you’ve got maybe a hundred companies making different SSDs, unlike hard drives where you’ve got like three. The technology really hasn’t evolved as far as it has on traditional disk drives, to be able to recover data. So when those drives have electronic failure, it’s tough to get them back working, to get data off them is even harder. Dave: It is. If you think about it, you’ve got about a hundred companies out there making them. There aren’t a lot of standards, they’re all using different controllers, with different break patterns, so even if you were to pull all those chips out and image them independently, trying to figure out how it wrote the data is a huge problem. We can pull the chips, but figuring out how the data is recorded to put the pieces back together is not simple. What we recommend with desktop users is that if they use an SSD is to put the OS and applications on the SSD, but to put the data on a hard drive, or to use one of the hybrid drives with an SSD cache system. Thom: This has been a great conversation, so I thank you for it. 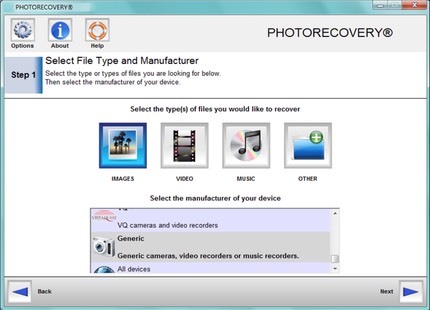 LC Technologies Windows version of their PHOTORECOVERY product can be seen on this Web page. That page also has menus and links to the Macintosh version, the SanDisk software, and to LC Technologies’ data recovery services.